The approach to systemic sclerosis (SSc) has changed over the years with an increasing focus on the very early diagnosis of the disease. The terminology identifying patients in the early phase of SSc has been significantly confusing in the last three decades. The purpose of this article is to analyze how the concept of “very early SSc” has evolved over the years, which is the role of an early diagnosis and how early treat patients. Several attempts have been made over time, to create more sensitive and specific classification criteria to include the largest number of SSc patients, also in the earliest phase. 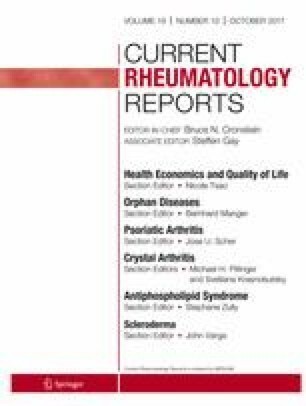 An algorythm for the very early diagnosis of SSc was identified, diagnostic preliminary criteria proposed, and new 2013 ACR/EULAR SSc classification criteria published, including new items and adding emphasis to the vasculopathic manifestations. True biomarkers that could predict the disease evolution are still missing. Treat or not to treat patients in the earliest phases still remain a dilemma. For the moment, the only feasible clinical strategy in very early SSc remains a tight follow up program to detect in “real time” the early internal organ involvement which may allow an aggressive therapeutic agenda.